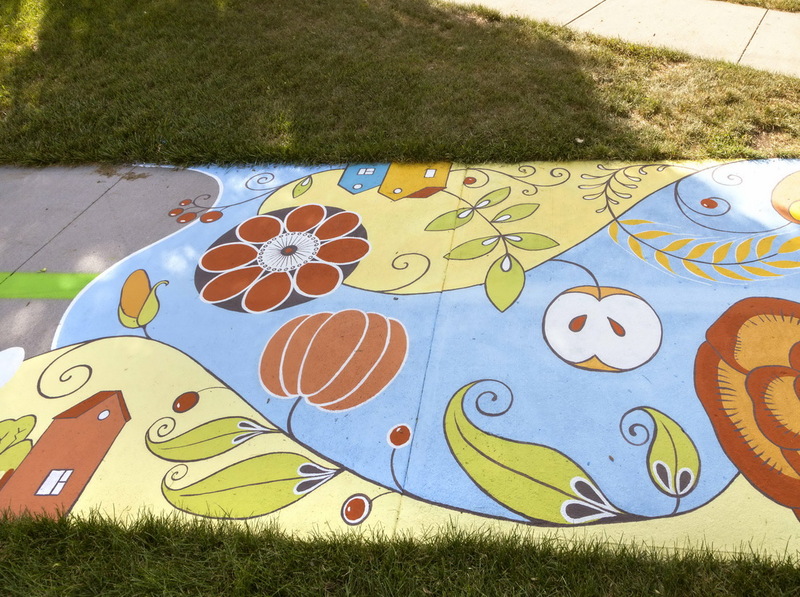 My second ground mural painting for Lakewood’s 40 West Art Line. 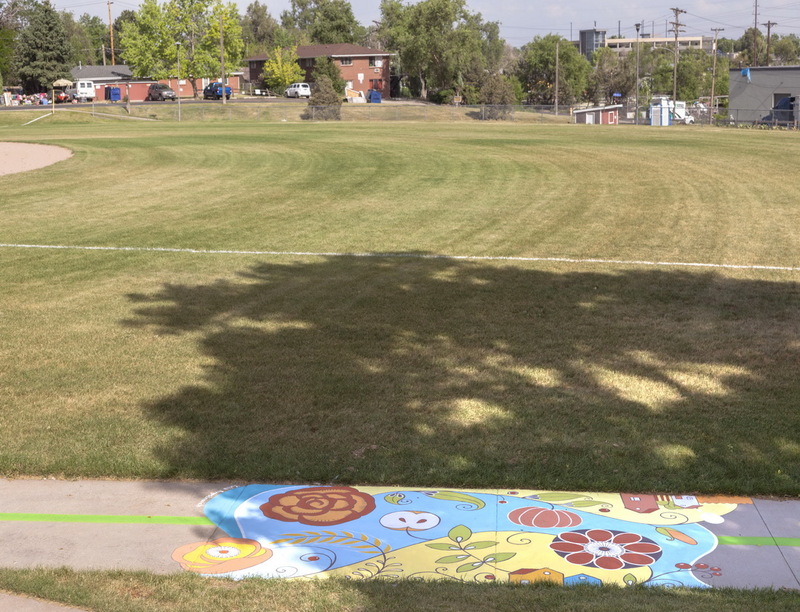 The mural is painted right next to the children’s playground and baseball field in Mountair Park. 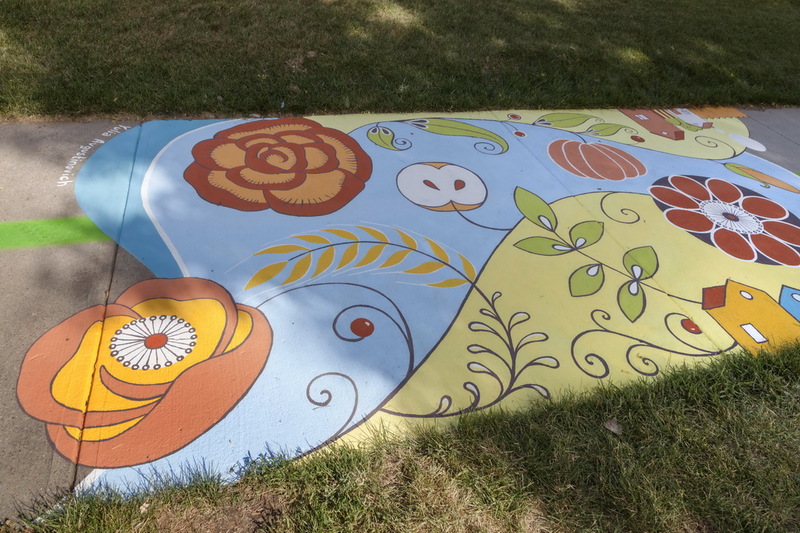 The mural is called “Blooming city”. 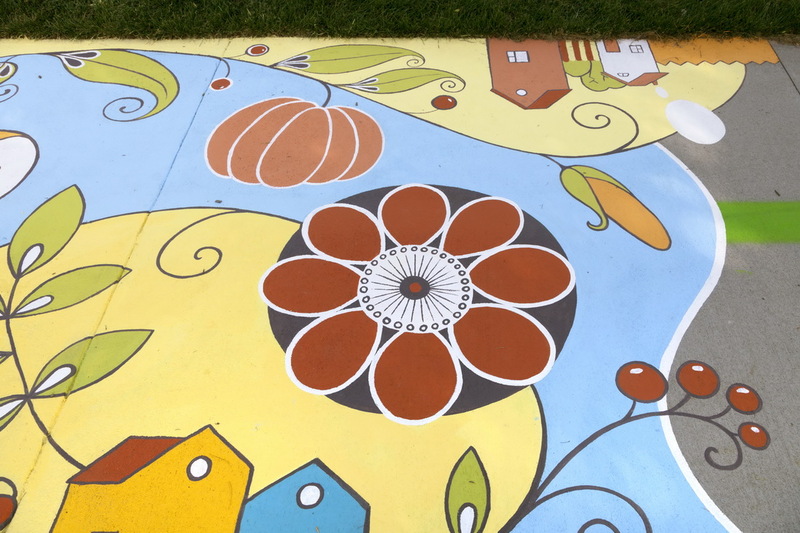 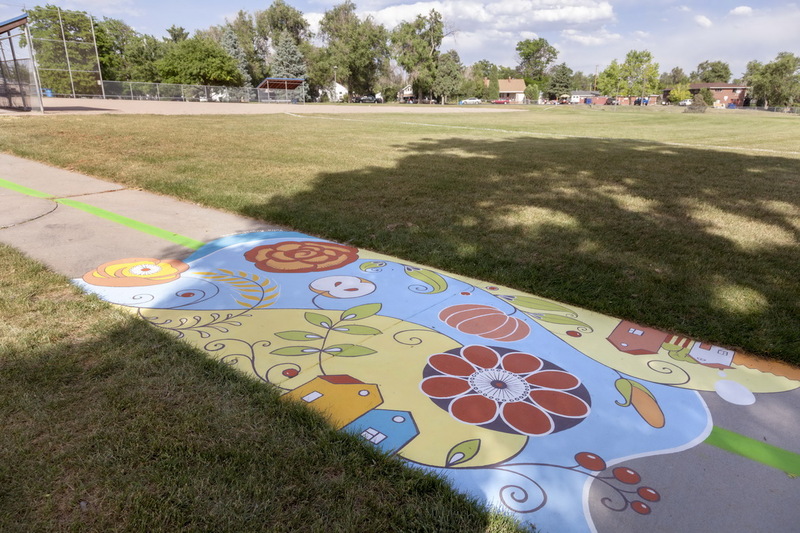 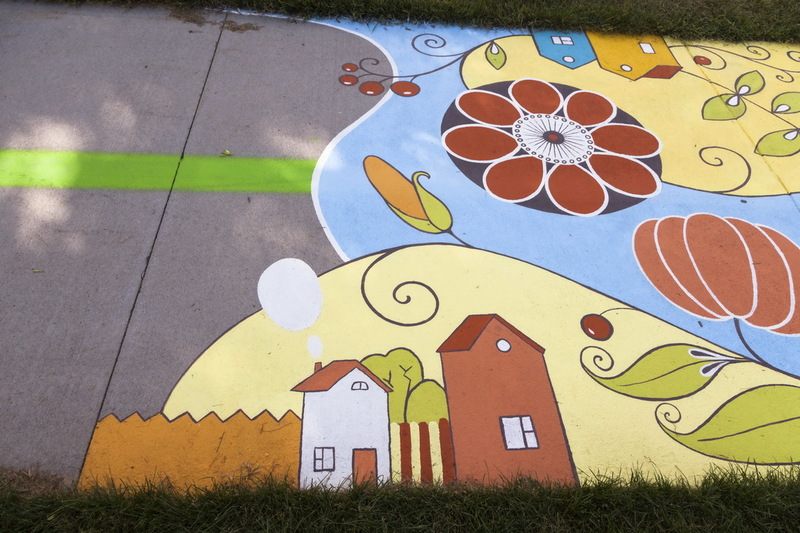 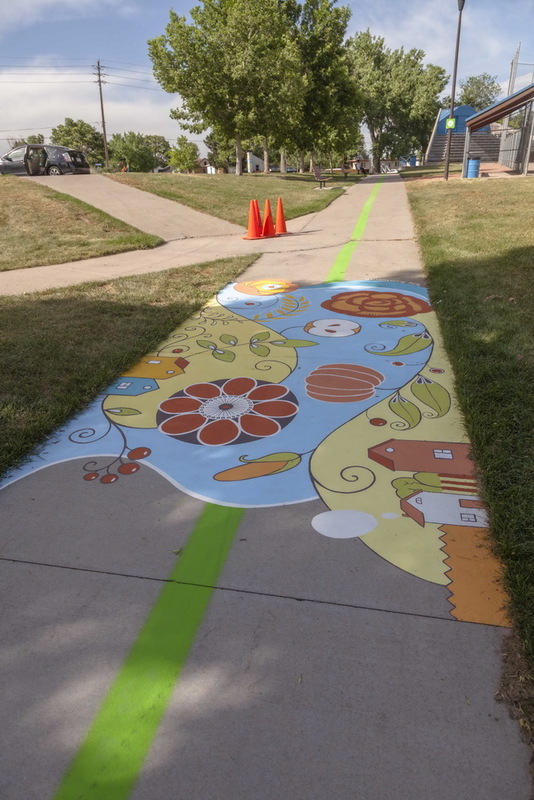 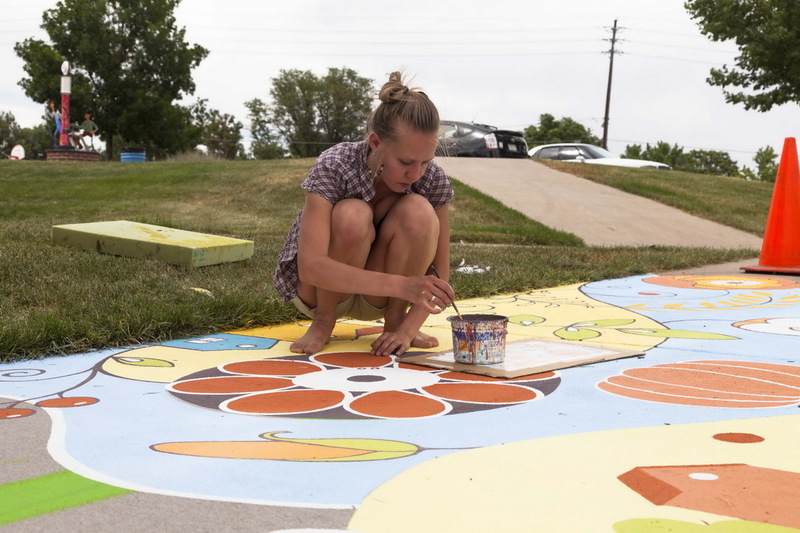 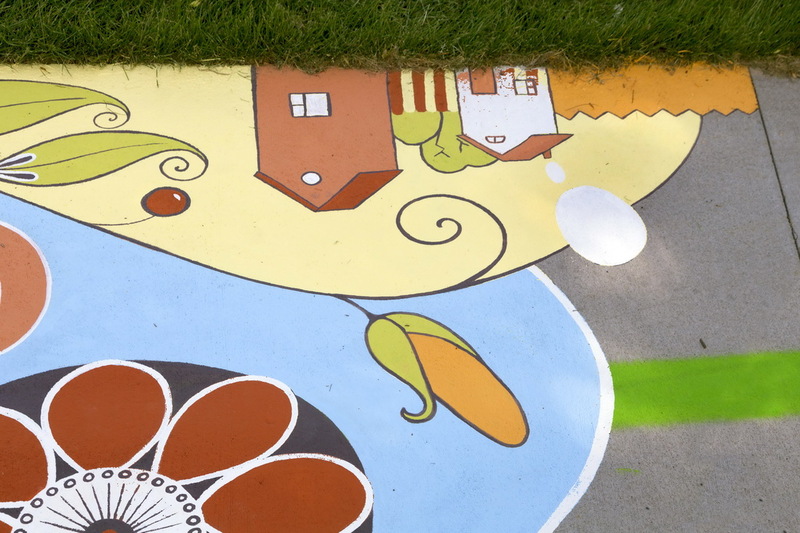 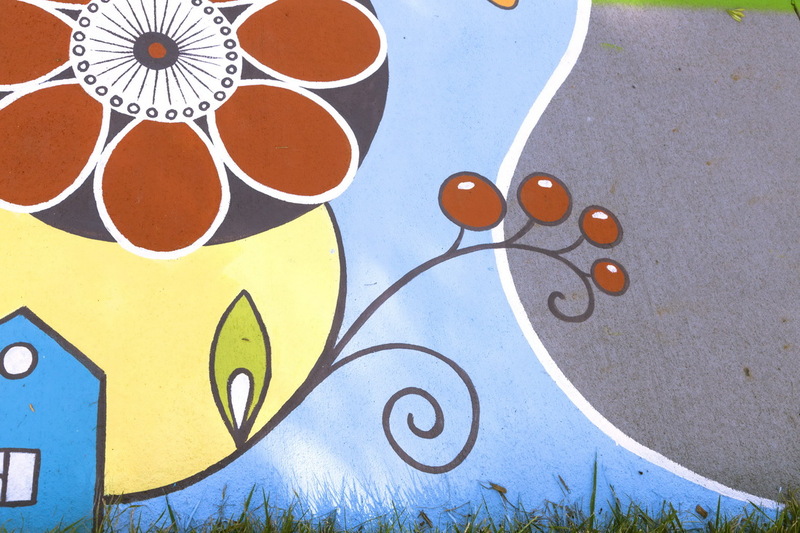 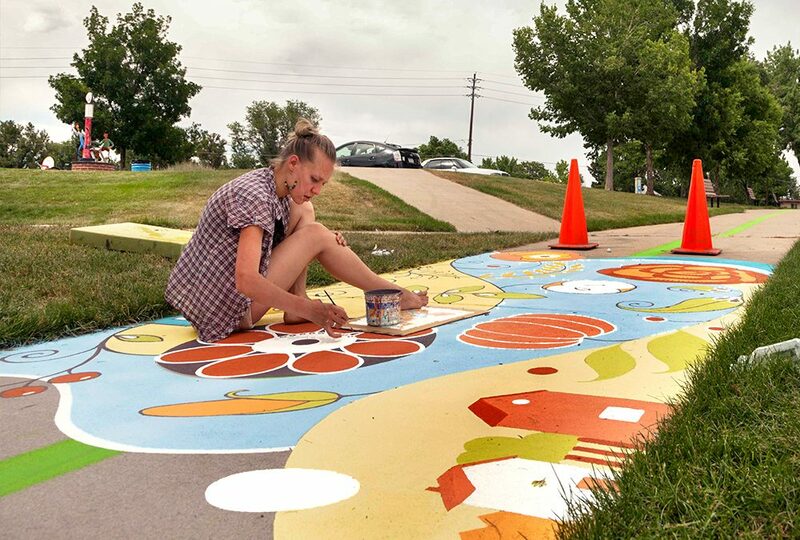 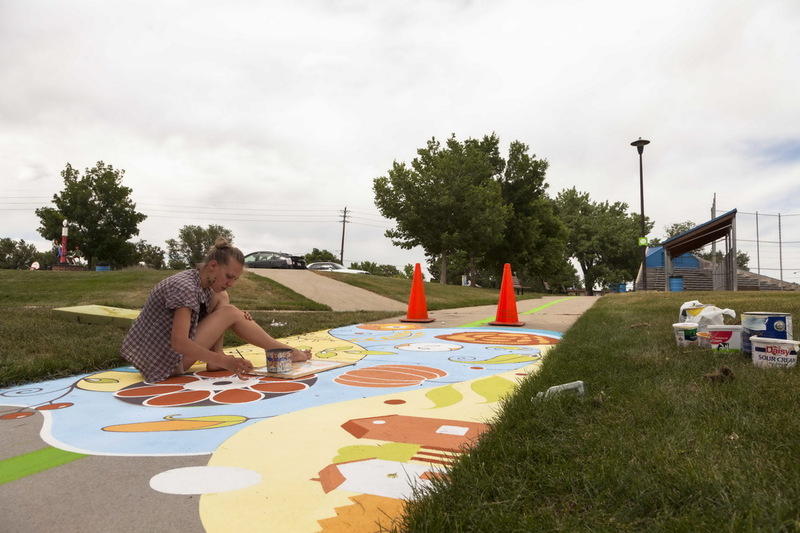 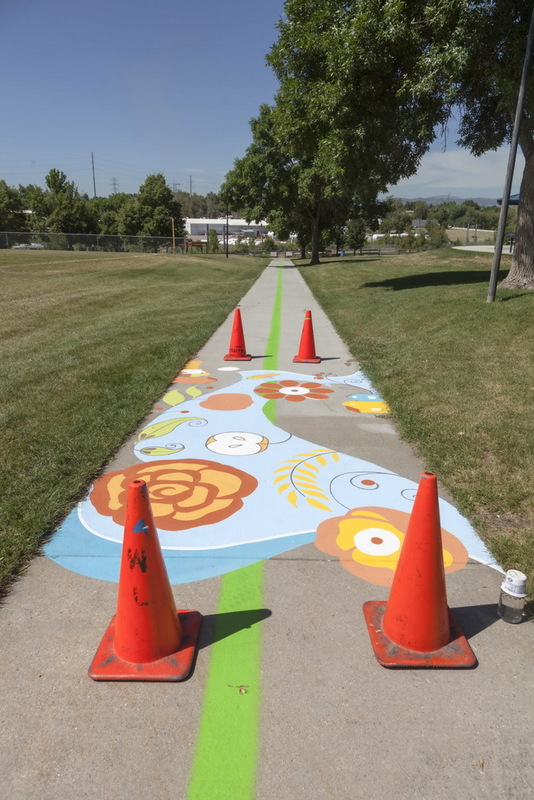 The mural design was inspired by the agricultural history of Lakewood and the urban farm that is also in Mountair Park. 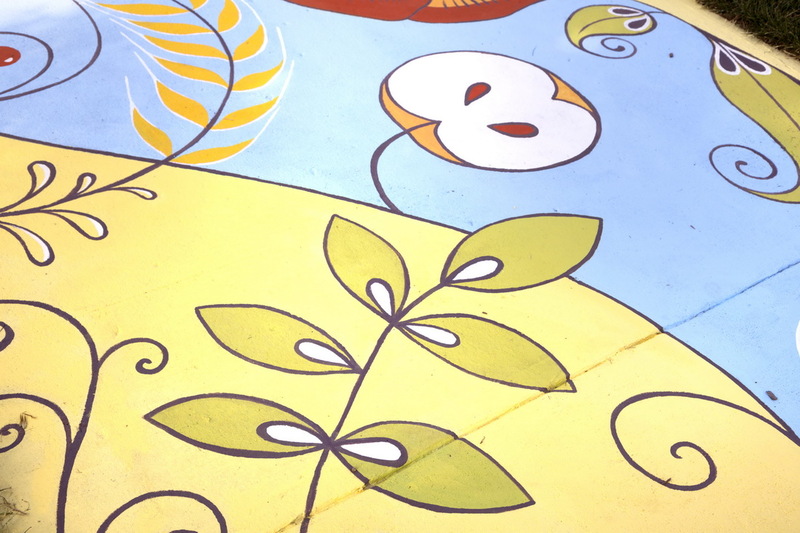 The flowers and plants represent the growth and new beginnings that are happening in the city.